Since the early 1900s, people have quarreled over the beaver and trout relationship. Some fishermen are convinced that beaver are the ultimate villain, ruining pristine fishing spots, while others vow that beaver ponds accommodate some of the best fishing, yielding many prized catches. Brook trout inhabit small headwater streams characterized by cooler water temperatures and riffle-run areas with rocky substrate. Beavers dam up a stream to create a pond, a refuge, in which they can construct their lodge and be protected from predators. But what happens when their habitats collide? What happens when the ecological engineer, aka the beaver, begins construction of it’s home and subconsciously changes a portion of the stream from lotic to lentic? Beaver tend to be harmful to trout in warmer, low altitude streams, with water sources consisting of lakes and precipitation that can result in lethally warmer temperatures. Streams in eastern regions of the United States tend to exhibit these characteristics. 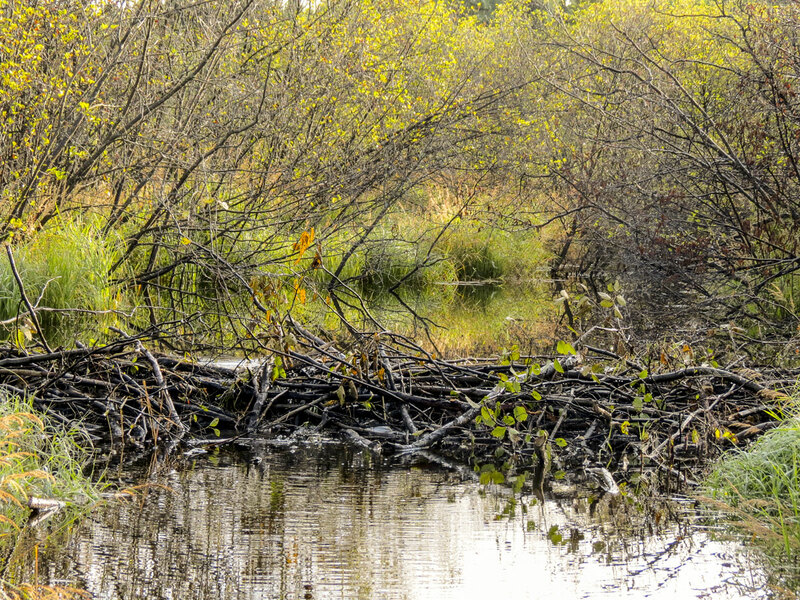 Beaver dams are beneficial to trout in cold, mountainous or semi-arid areas, such as streams in the west, where the warming of temperatures expands habitat once too cold and produces a buffer against drought. In the late 1940’s in Idaho, managers actually parachuted beavers from planes in hopes of improving trout habitat through beaver colonization. If beaver tend to be harmful out east but beneficial in western streams, what is the impact of beaver on brook trout habitat specifically on the North Shore of Lake Superior? That’s my cue to enter, and as a graduate student at Bemidji State University, I have been given this fascinating opportunity to investigate the effect of beaver activity on brook trout habitat in Northeastern Minnesota. 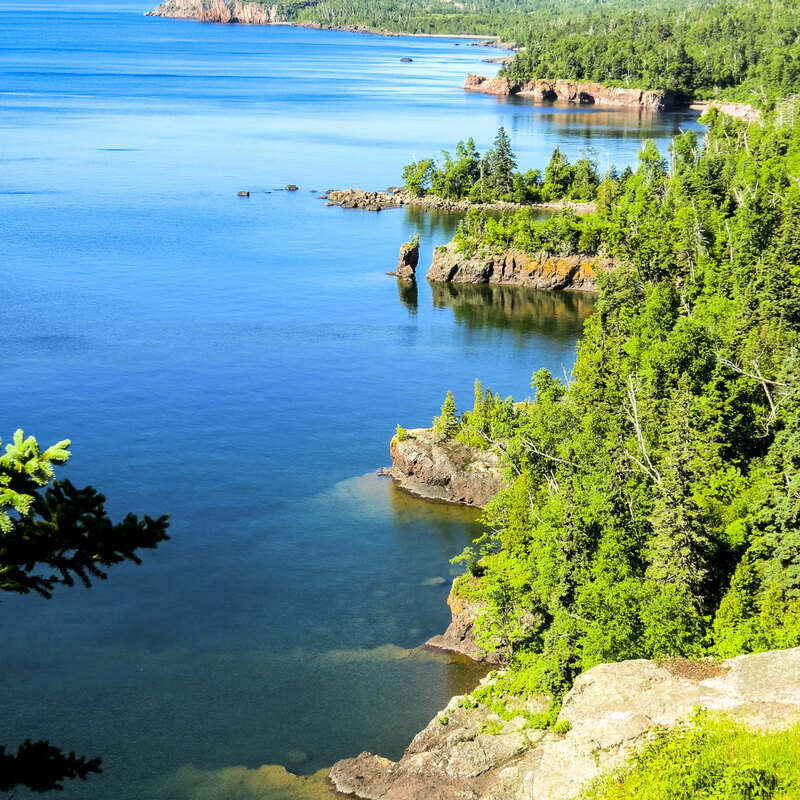 During the summers of 2017 and 2018, I traveled and camped along the North Shore of Lake Superior with my technicians, Kylie and Adrianna. Over 100 days I lived in the University’s fish house, cooking over the campfire each night (becoming quite good at making a pizza in the dutch oven) and spending my evenings on the banks of the Baptism River. But my favorite days were those when my husband, Joe, and golden retriever, Leinie, would come to visit me. 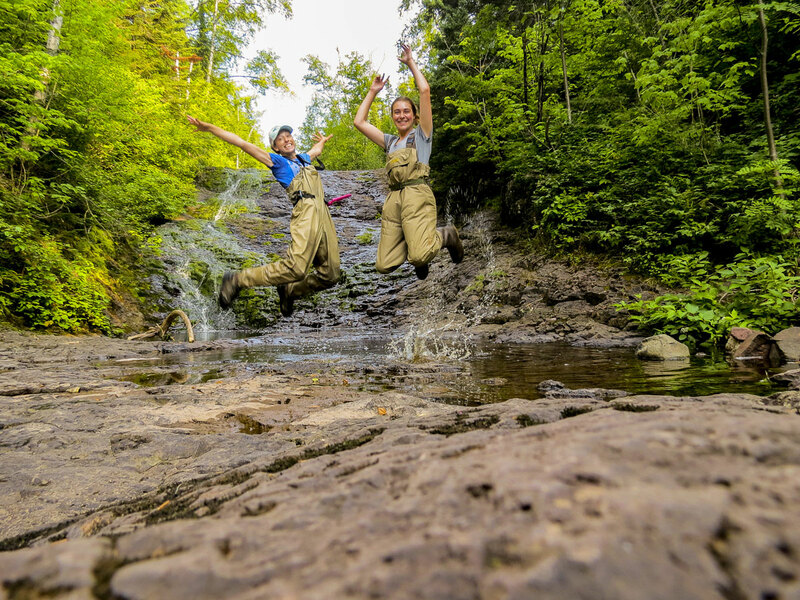 To begin casting light on the beaver and brook trout relationship in the region, data was collected in a 200-meter reach of brook trout streams during July and August, the hottest months with the lowest flow. 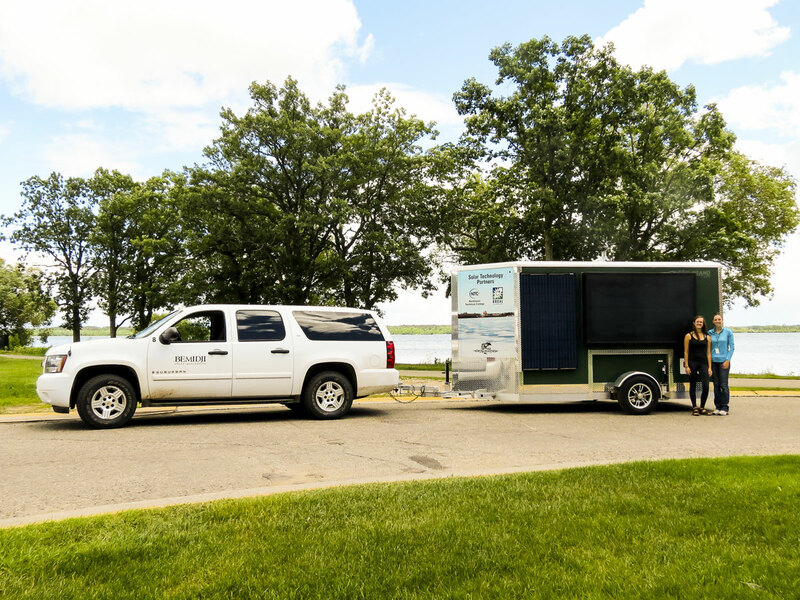 Sampling occurred in 82 stream sites and 21 beaver ponds during 2017 and 2018. Brook trout habitat variables measured at data points along transects throughout each stream site included stream velocity, depth, temperature, and substrate. These measurements were later applied to a habitat suitability index (HSI) model that scored the data (0.0 unsuitable habitat, 1.0 good habitat) and allowed me to quantify the amount of suitable brook trout habitat in each site sampled. Drift nets were deployed to capture aquatic invertebrates that will later be applied to a bioenergetics model, allowing for the determination of brook trout growth availability in each site. In addition to sampling brook trout streams, you could also find me paddling along transects in a float tube in beaver ponds. 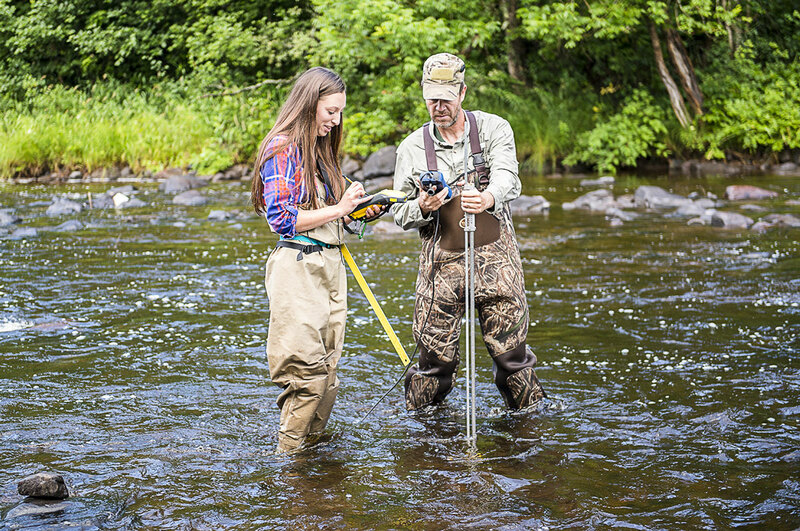 In beaver ponds, variables potentially affecting brook trout, such as dissolved oxygen, pH, and temperature, were measured. I found sampling beaver ponds particularly challenging, often trudging through hip high muck, extracting leeches off of my arms, and battling black flies. But as with the stream sites, I also found a serenity of sort and appreciation for this unique ecosystem. Propelling millions of tadpoles into waves with my float tube in a beaver pond, unexpectedly discovering an enchanting waterfall, and spooking a large brook trout hiding inconspicuously in a quaint stream’s undercut bank are experiences that make me so incredibly grateful to have chosen fisheries as a career. During the fall and winter, my months were busy with data analysis, setting the hook on the beaver and brook trout controversy. Geographical information system (GIS) was used to create interpolated brook trout habitat maps for each stream and beaver pond site from the data collected. I have enjoyed each process of my research, but there’s something satisfying about seeing all your hard work in the field come together by visually seeing calculated brook trout habitat represented in the streams and ponds. Using GIS and aerial photos, beaver variables were measured that might potentially affect brook trout habitat. These included the number of upstream dams from the sampled site, the distance to the nearest beaver dam, and the area of the upstream beaver pond. Most recently, I have been diligently processing my invertebrate samples collected from the drift nets. And even though the process of identifying and measuring each invertebrate has been daunting and seemingly everlasting, there is also an excitement and admiration for each one. You never know what you will find in your sample and each species is so uniquely different. My favorite is seeing all the different mayfly gills and caddisfly cases. Those creatures are truly amazing. Preliminary results of my research indicated that the maximum tree line width of the nearest upstream beaver pond was a significant variable that could be potentially affecting the amount of suitable brook trout habitat. Specifically, a greater area of suitable brook trout habitat was achieved when the maximum tree line width of the nearest upstream beaver pond was less than 70 meters. Beaver actively cut trees for dam maintenance and food, and as they continue their harvest throughout time, they have to search farther and farther away from their pond to reach favorable trees. As the tree line width of a beaver pond increases, less riparian shade is provided for the stream reach, potentially increasing temperatures and providing less suitable brook trout habitat below. Preliminary results also indicated that there was suitable brook trout habitat (sometimes even better habitat than was calculated in any of the streams) in 13 of the 21 beaver ponds sampled. The amount of dissolved oxygen was the limiting factor in determining if beaver ponds provided brook trout with suitable habitat. I am still analyzing the invertebrate data for the bioenergetics model and therefore, do not have any preliminary results to share with you about beaver potentially affecting brook trout growth in the sampled streams. But what I do know (along with my choice of fly for fishing next summer), is that mayflies tend to be the dominant group of invertebrates, constituting of approximately 75% of many drift net samples. In one stream reach, mayfly numbers were over 450 in a sample of 550 invertebrates. Brook trout are a native species that remain highly desired by anglers, and results from this study will allow agencies to efficiently make management decisions when regarding brook trout and beaver in the North Shore, Lake Superior region of Minnesota. I enjoyed spending my summers in the streams among the brook trout and am excited to analyze my data, allowing for light to be casted on this century-old controversy.